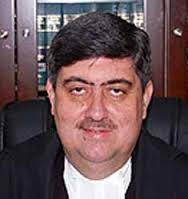 Former chief justice of Punjab and Haryana Justice Sanjay Kishan Kaul on Saturday sworn-in as the Chief Justice of the Madras High Court. The new Chief Justice was born on December 26, 1958. After schooling in Modern School, New Delhi, he graduated in Economics (Hons.) from St. Stephen’s College. He obtained LL.B from the Campus Law Centre, Delhi University in 1982. He enrolled himself as an advocate in July 1982 and practised in the Delhi High Court. He was designated a Senior Advocate in December 1999. He was appointed as an Additional Judge of the Delhi High Court in May 2001 and made permanent in May 2003. He was elevated as the Acting Chief Justice in September 2012. He became Chief Justice of the Punjab and Haryana High Court on June 1 last year. The Governor, K. Rosaiah, administered the oath of office at a brief ceremony at the Durbar Hall of the Raj Bhavan. He sworn in as the 27 Chief Justice of the Madras High Court since Independence. At present, Justice Satish K. Agnihotri is the Acting Chief Justice of the High Court. Justice R.K. Agrawal was the last regular Chief Justice, who was later elevated to the Supreme Court.